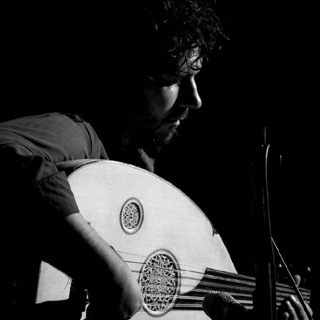 Mandolin player, Gianluca Campanino, using Magnet Sandwiched Pickup(MSP) microphone. Pickup manufacturer, 123sound.jp, introduces an example using MSP microphone by Gianluca Campanino. 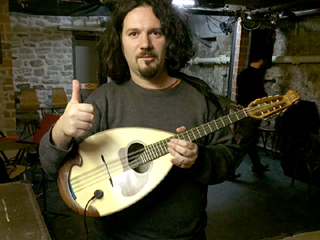 I have played in the Trianon Theater in Paris with my mandolin and your pickup! Super concert and super sound! Pickup made with Neodymium magnets and piezoelectric element. The MSP positioning is patented and state-of-the-art. A positioning magnet and an additional magnet in the MSP device hold MSP's piezoelectric element in place. Installation is simple. 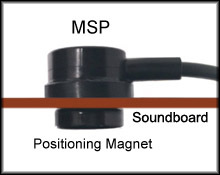 Because MSP is kept in place by magnets, musical instruments are not damaged or dirtied due to adhesives. The MSP is placed outside of musical instruments, so it can be installed without any through hole. 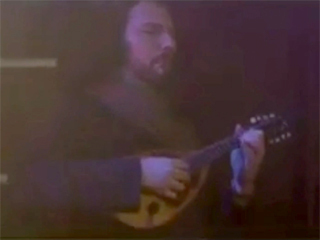 The sound emitted from the contact pickups depends on the attachment position. Easily mount or remove MSP on the fly, so the free movement of the positioning location allows the player to control sound output based on their preference. Neodymium magnets, one within the MSP and an additional Positioning Magnet, push the piezoelectric element toward the soundboard. This provides louder and higher quality sound without the use of a pre-amp.